Empowering lives and communities through high-octane participation in music-making experiences. 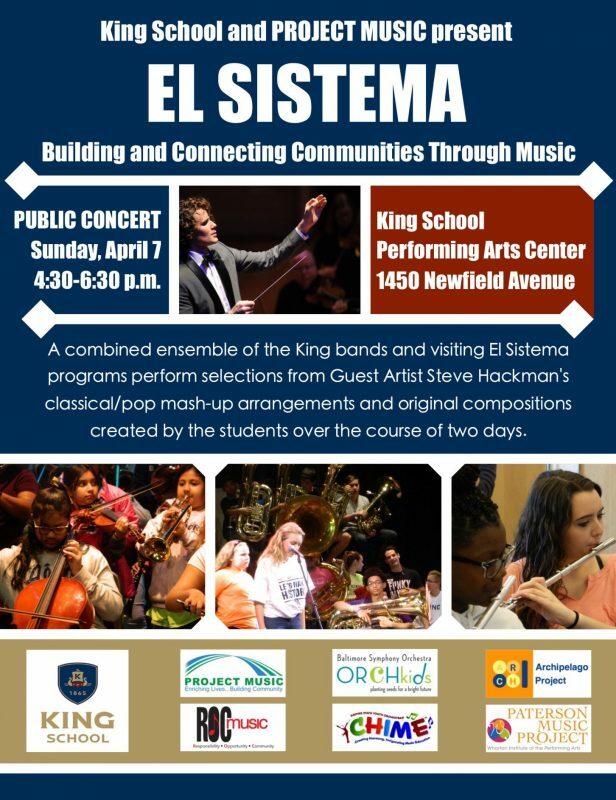 SUNDAY APRIL 7, 2019- EL SISTEMA RESIDENCY CONCERT! COME AND BE AMAZED BY OVER 120 STUDENT MUSICIANS IN WHAT WILL BE A MEMORABLE EVENING OF MUSIC. STUDENTS WILL TRAVEL FROM ALL OVER THE EAST COAST TO EMBARK ON A JOURNEY OF ORIGINAL COMPOSITIONS, AND PERFORMANCES OF PIECES ARRANGED BY OUR GUEST ARTIST STEVE HACKMAN. CLICK HERE TO LEARN MORE ABOUT OUR GUEST ARTIST! PROJECT MUSIC is a 501(c)(3) organization. All contributions are tax deductible to the full extent of the law.